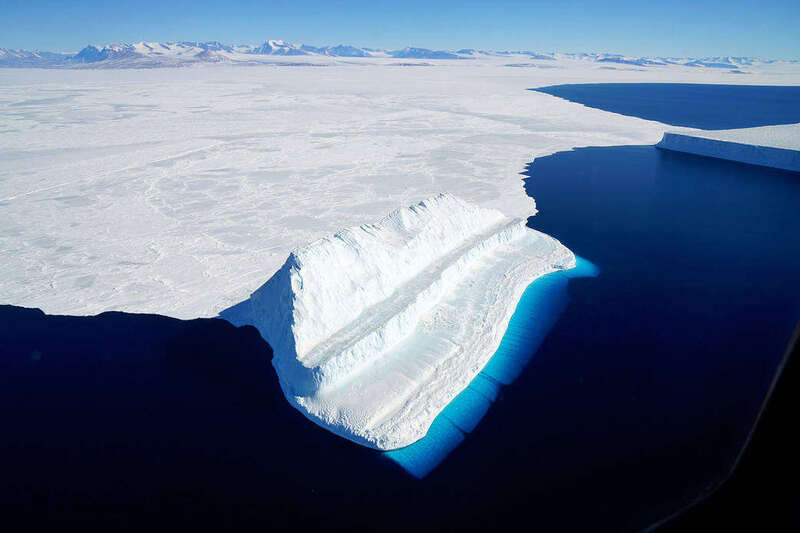 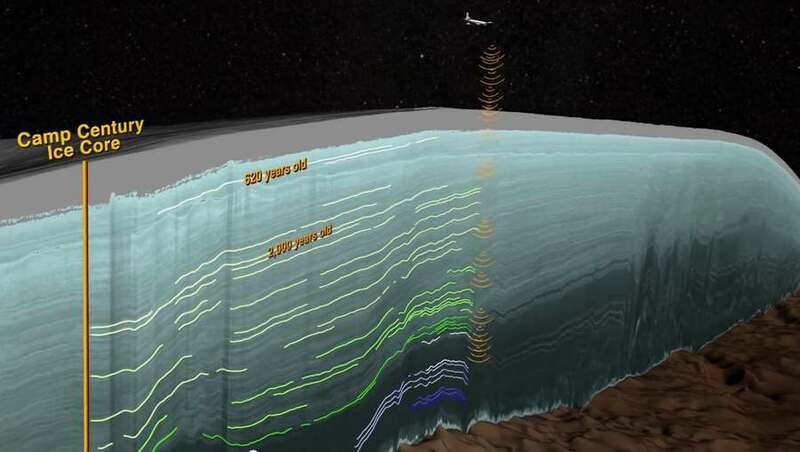 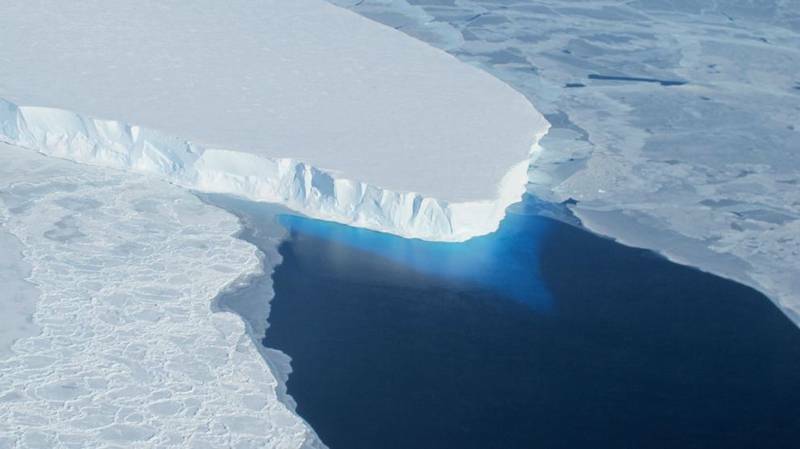 The part of the iceberg below water appears bluest primarily due to blue light from the water in Antarctica’s McMurdo Sound. 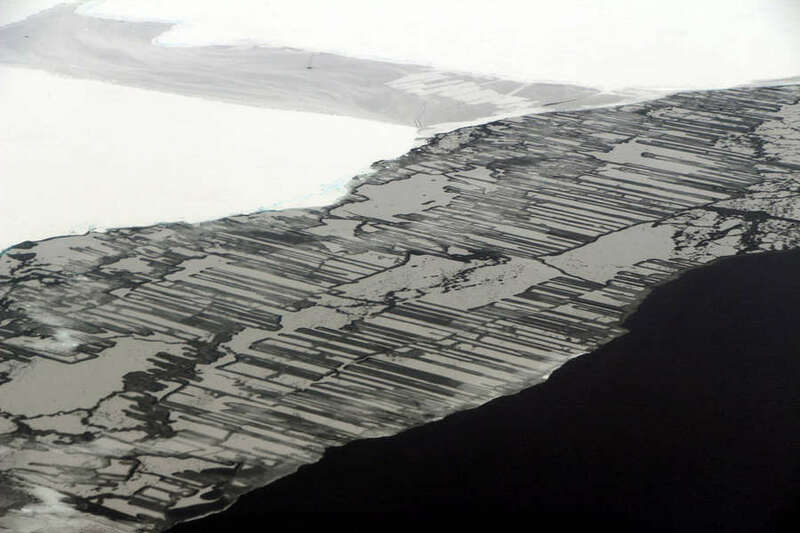 Ice can be stunningly beautiful and also quite varied in its appearance, like this icy fingers in the Weddell Sea, in Antarctica. 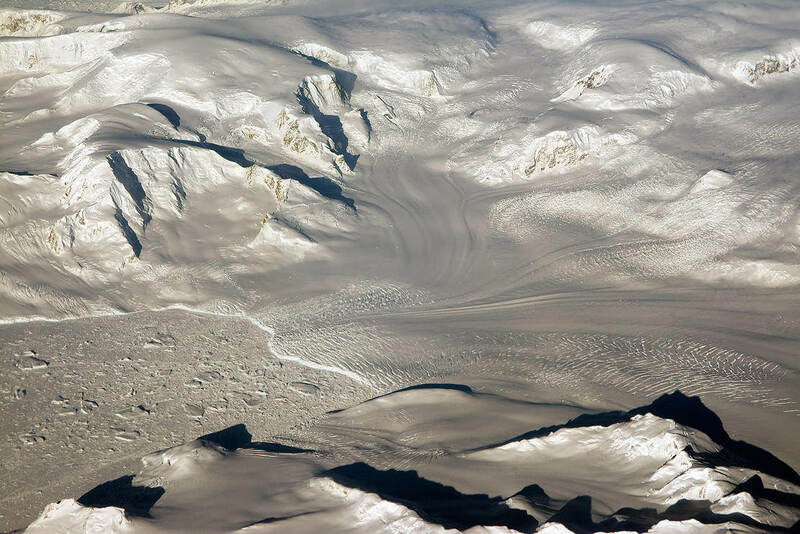 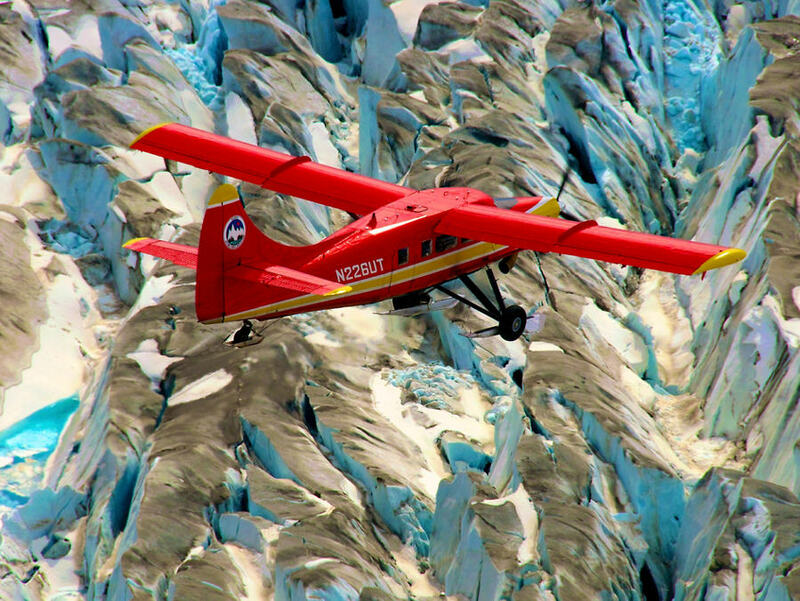 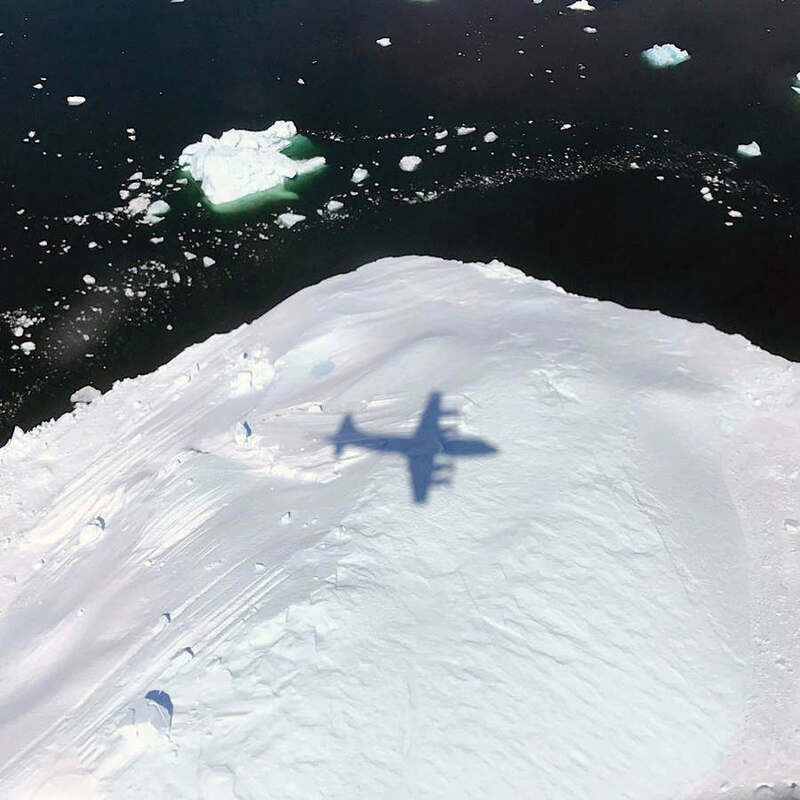 NASA timelapse shows a flight over Greenland’s southern glaciers. 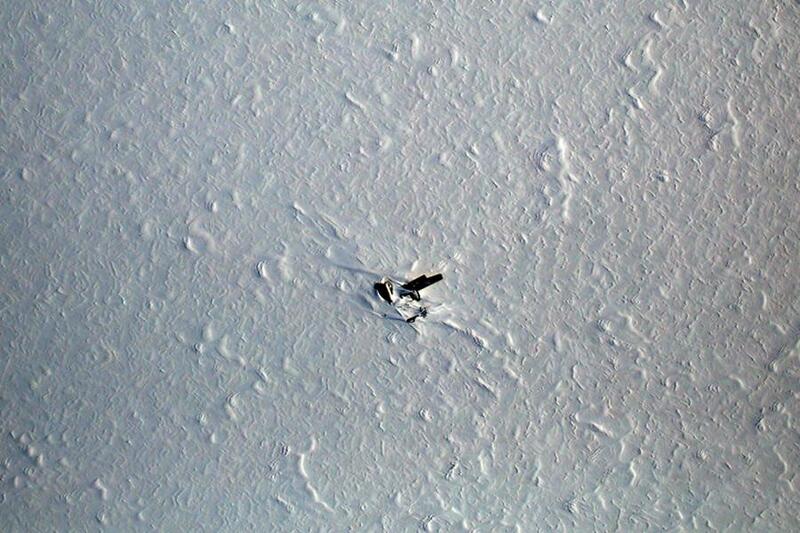 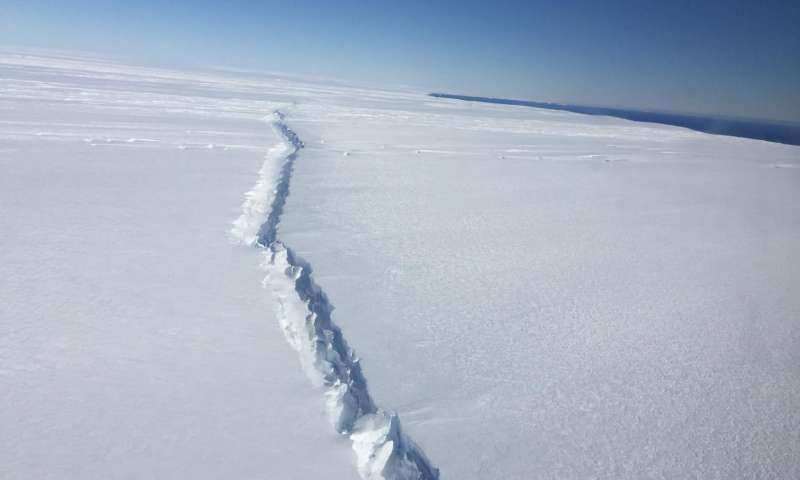 Accelerated ice shelf breaking up and retreat at Pine Island Glacier, West Antarctica. 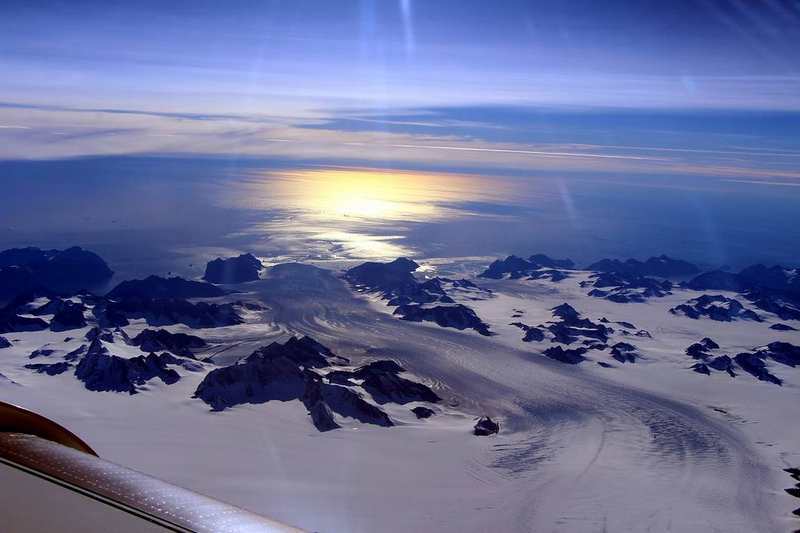 This beautiful view of Glaciers and mountains in the evening sun, are seen on an Operation IceBridge research flight, returning from West Antarctica on Oct.